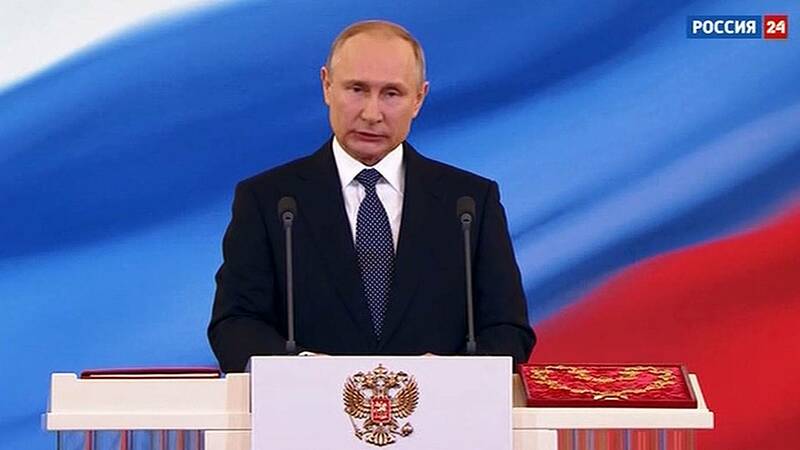 WASHINGTON (CNN) - Russian President Vladimir Putin seemed to justify the hacking of Democrats because the information dispersed was true, after denying that Russia had interfered in the US 2016 presidential election. The US intelligence community has concluded otherwise, and just on Friday the Justice Department announced charges against 12 Russian nationals as part of the special counsel's probe into Russian meddling in the election. "Russia as a state has never interfered with the internal affairs of the United States, let alone its elections," Putin told Fox News' Chris Wallace in an interview that aired Monday evening. Putin's remarks were being translated. When pressed by Wallace about the hacking, Putin later went on to say: "Listen to me, please: The information that I am aware of, there is nothing false about it, every single grain of it is true. And the Democratic leadership admitted it." When Wallace initially brought up last week's indictment, Putin began to chuckle and refused to touch the filings Wallace offered for him to look at. On Monday, President Donald Trump joined Putin in Helsinki, Finland, for a one-on-one meeting, after which Trump received significant condemnation for his remarks made at a joint news conference. "I have great confidence in my intelligence people, but I will tell you that President Putin was extremely strong and powerful in his denial today," Trump said during the news conference. During the interview on Fox News, Putin also invoked the assassinations of President John F. Kennedy and civil rights icon Martin Luther King Jr. when he was asked about the deaths of his own political opponents. "Well, first of all, all of us have plenty of political rivals. I'm pretty sure President Trump has plenty of political rivals," Putin said. Wallace countered by noting that Trump rivals "don't end up dead." "Not always -- well, haven't presidents been killed in the United States?" Putin said. "Have you forgotten about -- well, has Kennedy been killed in Russia or in the United States? Or Mr. King? What -- and what happens to the clashes between police and, well, civil society, and some -- several ethnic groups? Well, that's something that happens on the US soil. All of us have our own set of domestic problems," he continued.